 ReachFive provides a Customer Identity and Access Management platform (CIAM) that allows companies to simplify their consumer authentication process and significantly improve their user experience with a secure & unified 360° customer identity. Thanks to its Identity As A Service (“IDaaS”) solution, ReachFive can manage all types of client information directly from customer touchpoints, instead of passing through complex legacy systems unable to distribute unique profiles across an organisation. Providing a unified customer identity is a key enabler for companies seeking digital transformation. Having spent years in research and development phase to deliver its modern CIAM solution, ReachFive now manages over 40 million customer connections from its platform. ReachFive is integrated at the core of the customer relationship system, generating higher customer lifetime value and boosting the performance of marketing, sales and customer service initiatives. This capital injection confirms ReachFive’s momentum and follows a stellar year of growth, in which the company saw its recurring revenue more than triple. It will significantly accelerate ReachFive's business in France and Europe, where ReachFive already connects companies to their customers in 55 countries. Otherwise has already designed 3 in-house products based on this full-digital collaborative model: health, pets and car insurance. By reinvesting in this round alongside new strategic investor Mutualia, historical investors including 360 Capital renew their confidence in the company. Otherwise will keep up the rapid growth of its customers basis and gross written premium. Two years after its inception, Student Pop has consolidated its pioneering position in a student job market worth €3 billion a year in France. Halfway between an agency and a networking platform, Student Pop aims to combine the best of both models. Student Pop offers integrated services, guaranteeing clear understanding and communication between students and companies while relieving each of the most tedious tasks (automatic quotation, staffing of selected profiles and replacements, training, company invoicing, student remuneration, insurance, quality monitoring). In addition, the Student Pop digital model makes it possible to remunerate students advantageously (+30% of the minimum wage) while maintaining a competitive rate for companies. With this A series round, Student Pop will strengthen its student network to meet all companies' needs in France. They will also provide their application with new matching algorithms to be as close as possible to the students' evolution within the community.  Fred de la compta is a SaaS-enabled marketplace designed to connect entrepreneurs with accounting firms through a comprehensive AI-powered platform. Thanks to its patented AI, the platform automates the entire data entry process based on uploaded documents. The solution thus saves between 40 and 70% of the time usually devoted to this activity. With Fred, accountants can free up time to be more proactive in their legal, social or administrative consulting activities and entrepreneurs can focus on what really matters to their business. With this fundraising, Fred aims to acquire 10 times more users within the next year. The company also plans to diversify its services with accounting firms and strengthen its Product, Tech, Sales and Marketing teams. Serious Factory developed the leading authoring software for immersive & adaptive training program dedicated to create, monitor and deploy empowering simulation that transform the professional job training process through serious games. The company has closed a Series A round with its historical shareholders and Odyssee venture. The objective is to accelerate its growth and international expansion. Established in 2014, Cityscoot has developed the #1 European urban network to share scooters in free-floating. Thanks to its unique fleet technology, users can park instantly on any location within the authorised area, requiring no park stations and no keys, and only paying for the minutes they use (starting at €0.20/min). Dedicated to daily rides, Cityscoot reinvents the urban mobility by offering a sustainable, smart and efficient alternative to public transport. 18 months after its official launch, Cityscoot registers +200k rides per month in Paris and reached its 4-5 rides /scoot /day breakeven metric. This €40m Series B, led by RATP, via its branch RATP Capital Innovation, InVenture Partners and LeasePlan, along with historical shareholders, will fund the rollout of the service in new European cities. Cityscoot ambition by the end of the year is to open at least three new cities in 2018 and extend the fleet to 5,000 vehicles. IntuiLab is the creator of IntuiFace, the leading cross-platform software empowering anyone - of any skill set and in any business - to create, connect, deploy and measure touch-first digital signage without writing a line of code. Used by 1500 organizations in more than 85 countries and in fields as varied as retail, events, education, sales, government, and cultural institutions, IntuiFace accelerates the execution of interactive digitalization strategies for the physical place. IntuiLab is based in Toulouse and Chicago. IntuiLab has announced the closing of $3.7m in Series A funding from IRDI SORIDEC Gestion, M Capital Partners (historical investor) and two business angels with the support of Bpifrance. With the assistance of this Series A funding orchestrated by the investment bank Avolta Partners, IntuiLab's objective is to become the world leader in the segment of interactive digital signage. The company will expand its inbound marketing efforts and Web presence, the primary driver for IntuiFace sales-to-date, and will grow its business relationships with major customers (such as Microsoft, SAP, Colliers, Capgemini) and its partner agencies and integrators (such as FirstImpression, Zivelo, Popcomms, Accenture), particularly in the United Staes which already accounts for 50% of its business. Founded in 2015 by Pascal Lorne and headquartered in Aix-of-Provence, GoJob is a European leader on the temp working market. The company has built the first 100%-digital agency connecting recruiters to workers and has proved its leadership in France with already 25,000 temporary employees recruited by more than 500 companies. Through its integrated marketplace model, GoJob business has been thriving since its inception back in April 2015 and has recorded a 300% growth in Q4 2017. GoJob announced the closing of a €17m financing round led by Breega Capital (France), Kois Invest (Belgium) and a pool of renowned business angels and banking partners. This round will help the company improve further its platform around new key functionalities for time sheets and electronic contracts. The investment will also allow the recruitment of 20 additional people in the team, notably to focus on the optimization of GoJob matching algorithms. Established in Biarritz in August 2013 by Mariève Bidart, Eric Gagnaire and Mathieu Bidart, Patatam promotes circular economy for children's wear. The company buys from parents, clothes that no longer fit children and sell them back on its platform. With 2,500 new products listed every day, the company is currently gaining momentum in the French market. Their products now range from premature babies' clothes to size 14 and also include shoes, costumes and sport outfits. Four years after its inception, Patatam announced the closing of a new financing round with the objective to become the leading European e-commerce actor in the second-hand children's wear. New investors, in this third financing round, include Groupe Duval, West Web Valley and Swen along with historical investors such as Aquiti Gestion, PG Développement, Kernel Investissements, Herrikoa and Adour Business Angels network. Long-standing business angels, Price Minister cofounders, Pierre Kosciuscko-Morizet and Pierre Krings, alongside BlaBlaCar cofounders Frédéric Mazzella and Francis Nappez, have reiterated their support for the Biarritz based venture and its aggressive European growth plan. With more than €20m raised, the French specialist in crowdlending for SMEs, Credit.fr has provided lendors with 299 rigorously-selected smaller businesses and small and mid-sized companies (SMEs) under advantageous conditions for the borrowing companies and paying attractive yield to lenders. Being incubated since its inception in 2014 by Truffle Capital and building partnerships with financial players such as HelloBank!, Bankin'or Linxo, Credit.fr has revolutionised corporate access to credit by offering an extremely rapid response based on a simplified administrative process and a safe credit scoring system. The buyer, Tikehau Capital forecasts to consolidate its leading position in the corporate lending market in France. Thanks to Credit.fr, Tikehau Capital has acquired its technology solution (rigorous credit scoring) along with a deep network of partners and investors focused on the SMEs alternative financing market. Recognised "Technology Fast 500 EMEA 2016", winner of the World Innovation Competition (2014, 2015) and winner of the European Data Forum in Luxembourg, C-Radar has manufactured predictive algorithms and Machine Learning technologies to structure Open Data repositories. More than 80 clients, including BNP Paribas, Allianz, BPI, BPCE Group, La Banque Postale, SoLocal Group, SNCF and DHL use C-Radar's intelligent software, crawling terabytes of data on more than 15 million corporate websites in Europe and in the USA, to improve their B2B predictive marketing (understanding and conversion rate). Sidetrade, an Artificial Intelligence Software Company has chosen C-Radar to bolster its platform and solutions for Business Intelligence and predictive Marketing. Founded in 2013, Minuit has developed a groundbreaking patented laser technology called IVL™ lighting (stand for Immersive & Versatile Laser lighting) which grabbed rapidly the attention of all related sectors (concert, event, TV production, clubbing). With a unique range of colour effects, soft light quality and various using modes, Minuit Une allows to create over 1000 mesmeric, geometric, graphic and lighting effects, with a 360 lighting system aperture and an interchangeable upper shape (Pyramide and Carre to date). Minuit Une has raised €3m in equity and €2m in debt with both Fonds Ambition Numérique (Bpifrance) and Entrepreneur Venture to achieve its international objective of 90% sales abroad and its ambitious R&D program aiming visual signature and usability as a lighting equipment reference. Julie is a new type of AI employee who automatically manages the user's professional agenda: Julie plans, organises, cancels, creates professional events, sends invitations... Julie adapts itself to the user's preferences and habits thanks to a learning algorithm. Simply cc "Julie" to delegate tasks, then she cares of the rest. According to the user's calendar, Julie, via email exchange, will offer potential meeting times and places before sending invites with the details agreed for the meeting. The user is always in cc, to remain informed of the possible changes. Julie automatically fills his calendar. The AI-based personal assistant, Julie Desk, raised with SIDE Capital, Entrepreneur Ventures and SaaS Partners. Thanks to this fundraising, the start-up founded by 3 engineers from Polytechnic, Julien Hobeika (CEO), Guillaume Michiels and Nicolas Marlier, will pursue their investments in Artificial Intelligence with the aim of doubling their algorithm's performance and quality within the next 12 months. Julie Desk intends to become one of the driver for company transformation and innovative workplaces development. Launched back in 2007 in the aftermath of French Grenelle Environnement Forum, EP developed izigloo, a digital platform gathering data about housing so as to provide services related to its use or maintenance. With a simple address as an input, the platform can extract a wide range of information from wall total surface or sunlight intensity to building materials. Izigloo can notably assess the energy efficiency of any dwelling. Izigloo bets on a Free SaaS Enabled Marketplace model. It consists in providing the largest possible community with free tools to guarantee an easy and efficient match between players. The revenue model is based on management fees. EP has now collected more than 100 billion of data, mainly from IGN, Insee and MeteoFrance. Within a few months, izigloo has generated €4m in business volume for artisans and has federated more than 20,000 housing professionals. With this new fundraising round led by the MGEN groupe, the company ambitions to convince one million users for its platform before 2020 and to reach €100m in business volume by 2018. EP plans to hire +20 new collaborators in the coming years mainly to boost sales and R&D. Since its establishment in 2010, Cassiop has developed a unique savoir-faire in France with its solution Kimple, turning the company into a top-tier player in promotional marketing through gaming.  Within only two years, Kimple has managed to seduced 150 key client accounts, has developed 300 games and has experienced a 200% year-over-year growth. Sogec, a subsidiary of French group La Poste, specialized in relationship and promotional marketing, annouced it acquires a majority stake in Kimple. With this operation with Cassiop, which also edits about fifty dedicated applications, Sogec strengthens its digitalization and audience engagement strategy through gaming media and will unveil a new offer in the coming weeks. Founded in 2000, Educlever is a major actor of the digital education thanks to its 5 educational platforms for public (Maxicours) and institutional B2B (Civiscol for town halls, Seriniscol for companies, Enseigno for teachers and Efecto for scholar helping companies). After 8 years of research on adaptive learning, Educlever is now in possession of a fully-functional adaptive learning software, named La Cartographie Des Savoirs based on 3 technologies. First, the content consists on thousands of course sheets, videos and exercises as well as a graph of knowledge showing the interactions between notions. Secondly, an adaptive learning engine processes pupils' profiles to come up with a personal learning pathway. Finally, a learning management system manages the interface and makes it user-friendly. The funding round has been done by Entrepreneur Venture. After 2 years of technical development, Cityscoot launched a beta test in Paris. With this €15m funding round, the company will officially launch its service in June 2016 by gradually deploying 1,600 scooters in Paris streets. This series A is a mix of equity and leasing: the equity round is led by Caisse des Dépôts and SD2P family office, along with 123 Investment Management and historical business angels, while the leasing round is led by LeasePlan, which sees in Cityscoot a long-term strategic partner for its activities. Founded in 2008, Hesus is the pioneer in the circular economy in the building sector. Hesus facilitates inter-channel excavated soil exchanges while allowing its traceability and safety. Hesus also developed a soil management technology platform called Soldating which links in real-time the yard in need of soil and the overflow soil yard. Hesus integrates all the additional services allowing to manage the moving excavated soil value chain, from the search for treatment centers or receiver sites to the delivery logistics of the soil from a place to an other. Hesus is also taking care of all the administrative tasks and the traceability of the soil movements. This new funding round, led by Audacia and BPI France, aims at accelerating Hesus development. Consecutively to Paris, a new platform has been launched last June in Bordeaux and a dozen more will follow during the next three years to cover the main French and international cities. Hesus also wants to diversify the company’s core business and support its customers on construction sites one step further. From excavation, to value-creation or logistics optimisation, Hesus is investing in the 2.0 construction site. Established in 2012 as the French pioneer of equity crowdfunding, Smart Angels is now one of flexible and transparent SME capital marketplace in Europe. Registered by the AMF as a CIP (French legal crowdfunding status), Smart Angels enables startups, early stage and growth companies to issue equity and bonds within the legal framework of public offering exemption. In 2016, its significant partnership with the BNP Paribas Securities Services has allowed some blockchain technological developments within Smart Angels platform. This funding round has been led by Elaia Partners, Idinvest Partners and XAnge. Founded in 2011 by Olivier Kauffmann, former CEO of Decathlon France, Orangemarine is one of the biggest online retailer of products, technologies and gears for boating in Europe. Orangemarine is developing its own brand which already represents 20% of its global turnover. The company targets professionals as well as occasional boaters delivering the best equipment in the best delay at the best price. Being the sole digital pure player, Orangemarine is disrupting a still very “brick and mortar” market mainly composed of franchised stores (such as Accastillage Diffusion, BigShip or Uship in France).Based at La Ciotat, the team is composed of 25 experienced people spread between France and Italy. This €7m funding round, has been led by Somocom and Alcodev, two Belgian family offices related to the industrial group Alcopa, structuring the company both financially and strategically. The company aims at becoming the #1 online retailer for boat equipment in Europe within 3 years thanks to 4 key developments: expand the product catalogue, accelerate its presence in other European countries (Germany, Spain and UK in 2017), and finally increase the sales of its own brand products. Orangemarine is also developing a marketplace around shipchandlers services based on Allopneus’s model. 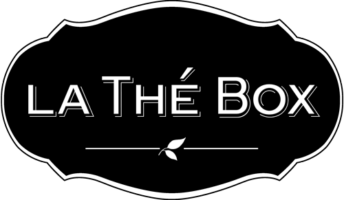 Launched in 2012, La Thé Box offers consumers a unique way to discover the best teas, brands and delicacies available on the market, in a state of the art packaging and high-end branding. Sourcing teas from both well-known brands and emerging gems, La Thé Box members have genuine experiences with new products each month and access enhanced content to help them get the most out of their products.  La Thé Box operates through 3 cores of activities: monthly subscription box delivery, e-shop for premium teas and delicacies and also a range of wholesome and fun teas. La Thé Box portfolio contains products from over 90 international brands (Mariage Frères, Dammann, Angelina, Harney & Sons, etc.). The funding round with Weber Investissement (Financière de l'Echiquier) aimed at cross border expansion (notably Germany). Founded in 2013, C-way is born from the needs of its creator, Jeanne Chaumais, young mother of three children, who imagined a connected device answering the new uses of children from 3 to 11 years old and their parents. Thanks to its first product, Memoo, a connected station to listen to music, C-way aroused public and media’s interest in 2016 during the CES of Las Vegas. Among key functionalities, Memoo can among other functionnalities play bedtime stories and lullabies, offers a voice messaging system and displays information about the weather forecast. Through this funding round, C-way intends to establish itself sustainably on the market of kid’s intelligent entertainment and plans to diversify its product range in the coming years. AntVoice offers artificial intelligence predictive recommendation since 2014. More than 18 months of R&D have been required to develop an innovative technology based on a multi-object graph such as Facebook's social graph. This technology can create comprehensive profiles of individual users (vs. the segmentation approach) for any type of activity, whether for brands, merchants or e-media. AntVoice offers every month to more than 40 million Internet users, in 25 countries, fine recommendations of any kind (contents, products, brands, ads, etc.) on all channels (websites, sites and mobile apps, emails). With a unique multi-object approach in Europe, combined based on a powerful machine learning system AntVoice has convinced many partners to use its solution to enhance the user experience as can Amazon, Netflix or Facebook, and boost their KPIs. Thus, in just 2 years, AntVoice collaborates with both media companies (Figaro Group, Prisma Digital, Mondadori, Télérama, etc.) and major e-merchants (La Redoute, Delamaison, Mister-Auto, etc.) or classified players (explorimmo, Le Figaro Realty, etc.). This technology and company have been repeatedly rewarded: in the most promising startups according EBG in 2015; winner of the E-commerce CRM Award last September at the show E-Commerce Paris; finalist in the "Global Innovation" of the IE Club last few weeks. AntVoice has convinced its historical investors (Alven Capital and Nestadio) and two new partners, the fund CapHorn Invest and the retail company Adeo, to invest in the company. AntVoice's ambition is to become the European leader in predictive multi-object recommendations within 3 years. These new funds will allow AntVoice accelerate the launch of its new advertising recommendation and international development, which plans to recruit a dozen senior profiles as data scientists in the next 12 months. ECL Direct and Fizen was founded in 2008 by Claude Robin and Xavier de Labarriere, experienced accountants and entrepreneurs. They have been supported by Strego since 2012. Pioneer of the on-demand accounting for small businesses, ECL Direct became the national leader in just a few years. Fizen is a SaaS application that enables easy and user-friendly accounting and financial management for small businesses.Thanks to its vision of "accounting without accounting knowledge", and the automatic processing of banking flows, Fizen redefines the way accounting is done by small businesses. ECL Direct has now nearly 120 employees mainly based in Nantes and has experienced a strong development of its business with an annual growth rate of its turnover exceeding 40%. ECL Direct completed a roundwith Ouest Ventures III managed by GO Capital completed by IDEE fund. ECL Direct has the support of BPI France. "This new partnership will allow us to accelerate our growth and continue to heavily invest in innovation. It will help us strengthen our leading position, as the accountancy business knows a double mutation: automation of accounting process and the emergence of new value added digital services"
Founded in 2010, Qarnot computing develops the Q.rad, the first computing heater using embedded high-performance computers as a heat source in order to offer performant and secured cloud computing services on a totally disruptive and distributed infrastructure. Providing free and efficient green heating for buildings, present in every room and integrating more than 20 sensors, Q.rads also makes buildings smart. Winner of the Popular Mechanics Editors' price at the last Consumer Electronics Show, Qarnot computing settled more than 400 Q.rads units in France. The company has prestigious cloud computing clients such as BNP Paribas, Disney, Air Liquide and the CNRS. Over the past months, the team has built strong partnerships with HP, Microsoft, IBM, Intel and Orange to strengthen its technologies. The funding round has been led by Colony Capital through Data4, a group specialized in data centers. Joining Colony Capital through Data4, Qarnot Computing will be part of one of the largest funds worldwide. This will help Qarnot Computing extend its activity to the US market. Qarnot Computing is expected to deploy first on Data4 historical market such as Northern Europe and Italy. Founded in 2011, Avisdemamans.com is revolutionizing the publishing industry by forging a new kind of model that seamlessly integrates users, editors and content creators onto a single platform designed to empower all digital mums to discover, share and create. Its mission is to provide parents with a trusted, yet simple and efficient, way to access all the services they will need through the course of parenthood. Whether it's parenting or pop culture, fashion or food, DIY or décor, its award-winning editorial team, experts, bloggers, and social media influencers produce authentic and on-trend content every day reaching more than 370k monthly u.v. and 30k social media fans. Consolidating a catalogue of over 12k products and 170k advices, its robust, end-to-end suite of premium branded content, e-commerce platform and monthly box. Mayane Group, publisher of the magazines Parole de Mamans, the Guide des Nouvelles Mamans, Parole de Pediatres, Parole de Sages-femmes and the website paroledemamans. com, has just acquired the Avis de Mamans platform. Thus, Mayane Group completes its offer by enriching its market research division and the acquisition of a new eCommerce activity. 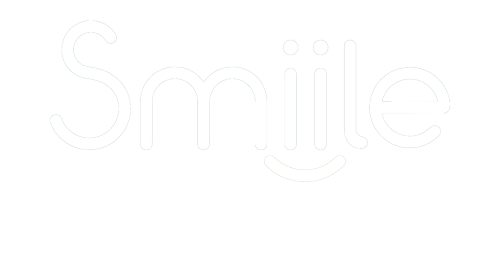 Smile is an aggregating platform for all collaborative local services such as group purchasing, collaborative consumption services, access to information on local life, mutual aid between neighbours, gather of objects and services, etc. The platform allows its users to group themselves through virtual neighborhoods, but also real ones. All the services offered on the platform allow a saving of up to 500€/month for a couple with 2 children. 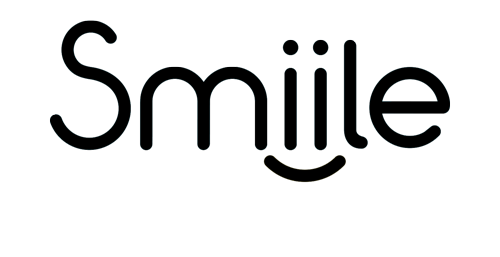 Smile's ambition is to become an European leader in sharing economy by developing an innovative system of collaborative APIs. Smile made its fundraising with the MAIF. By supporting the start-up, the "militant insurer" is counting on "the aggregation of collaborative services from different platforms". With this fundraising, the network intends to develop "a more ambitious collaborative ecosystem", notably with new services planned for "early December", including the launch of a mobile application. Horsecom designs and develops Bluetooth technologies for horses and riders in order to enhance the abilities, well-being and performance of the horses. HorseCom's technology represents a new era for enhancing the performance of horses and riders. The horseCom kit has been tested by instructors and competition riders, and is intended to complement existing approaches to deliver a step-change in the horse-rider relationship. By playing music, tailored to the horse sensibilities, to various exercises and contexts, it creates greater harmony between horse and rider. The rider communicates with the horse within a specific sound environment, helping to relax the horse by insulating it partly from external noises. Horsecom has completed a fundraising with Quadrivium 1, a seed fund managed by Seventure Partners. It will enable HorseCom to start marketing its first connected audio kit for horses and riders. Paymium is the Europe's first bitcoin exchange, serving the community since 2011 as a software house designing, developping and marketing payment solutions using Bitcoin open source technology. The platform has a mobile wallet app and a dual balance EUR/BTC account management for payments. Paymium has raised fund with Newfund, Kima Ventures, Galitt and Business Angels. Founded in 2011, Mediabong is an advertising technology company that developed a proprietary online video delivery technology termed Syncroll. With its contextualisation technology, Mediabong provides multiple and continuous opportunities for advertisers with show video ads to online audiences by synchronizing two video players so that the second can start where the first stopped. Entrepreneur Venture has invested in Mediabong alongside existing shareholders Jaïna Capital, Conegliano Venture and Network Finances. Created in 2012, Red Luxury is a watch and jewelry company with a strong digital approach. It aims to disrupt the traditional watch and jewelry business by promoting differentiating products through alternative distribution networks. Red Luxury uses social media and Web Marketing tools to design and distribute its collection worldwide. The company has received great traction so far, and they have now operations in 12 countries while 87% of their revenue is made online. Avolta Partners has advised Red Luxury in their fund raising led by Newfund. The fund raised will be used to sign new clients while expanding their product range. According to Romain Benichou, Red Luxury's co-founder: " This fundraising is the opportunity to develop our business on the connected watch segment, a market in great expansion. Our first smart watch will be launched late 2014 with our collaborator Vuarnet. " And Red Luxury's co-founder David-Emmanuel Cohen to add " We are very excited to welcome a prestigious partner such as Newfund. Their expertise will help to consolidate our innovative business model while improving our clients' profitability. " Avolta Partners has also advised Red Luxury in the acquisiton of Timefy, the leading marketplace for design and urban watches lovers. The amount of the transaction has not been disclosed. The agency 24h00 accompanies brands in their Social Media Marketing strategy - strategic planning, fan page creation, F-stores, applications, Facebook-ads campaign management, site socialization, etc. The 24h00 agency also supports the brands in their strategy of recruiting qualified prospects - emails and fans - and clients. Design of lead generation mechanisms (Studio creates, game development, applications, etc.) that we then distribute via our emailing network and our network of partners representing more than 50 million email addresses. Tok Tok Tok has been founded by Serge Alleyne, serial entrepreneur since 1999 who has successfully sold his former company Nomao to Ebuzzing. The founding team is rich from 10 years of experience in building and growing companies with specific expertise in mobile development, logistics, marketing and legal. Tok Tok Tok is food delivery app that incorporates modern and urban brand values. The startup differentiates itself from its competitor because its service goes beyond traditional delivery: it disrupts the shopping experience and how people consume locally. By using independent and geolocated Runners, the service is cost efficient and scalable. Tok Tok Tok announced the closing of a financing round led by a Family Office. The funding will reinforce the technical team to bring additionnal features and imporved efficiency to the food delivery app. On the other hand, the funding will help to increase the brand awareness and the management team hopes to onbaord hundreds of new restaurants in the coming months while expanding the service to new cities in France. So far, the Tok Tok Tok users have access to a large selection of 25 000 delicious items that can be delivered within the next minutes by geolocated Runners tracked in real-time. With clients such as Eurosport, Orange and Carrefour, 909c supports brands in their community management strategies. The new solution that it has just announced, wants to meet all the needs of its customers from publishing, to listening to social networks. The Overgraph offers a multi-account and multi-network approach to centralize the data needed by community managers such as Hootsuite or the late Seesmic. The tool is available free of charge in self-service and comes with a premium paid format. 909c currently employs 25 people and has just been certified by Facebook as a Preferred Marketing Developper agency. The first tool of the platform would have already conquered nearly 4000 users. The 909c agency launched in 2010 by Xavier Blouet has announced a fundraising with Newfund, which comes with the launch of a new solution: the Overgraph. 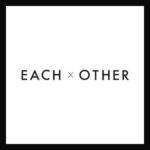 Each x Other was born of an encounter between fashion designer Ilan Delouis and artistic director Jenny Mannerheim. Inspired by a poem by Robert Montgomery "Safe and warm here / In the fire of each other", the duo decided to create a masculine wardrobe for women, a unisex and collaborative brand which invites artists, designers and craftmens to design model for their collections. This common and identical wardrobe for him and for her plays with myths of androgyny and the ideo of the twin flame. Its natural fabrics, timeless colour code an essential fit join to create the signature Each x Other aesthetic, while european manufactures limit the distance between the fabricant and the wearer.  Avolta Partners has advised the Each x Other team in their first funding round led by CDC Entreprises. Youmiam was born from the passion of three foodies who truly believe cooking is about sharing. They grew tired of not having easy ways of sharing recipes with friends. They soon realized recipes are much more than bullet-point text and started crafting a disruptive recipe sharing experience. Youmian was born as a social network where users can share their secret recipes and follow other users having the same tastes and food philosophy. Youmian wants to grow as the Pinterest of gastronomy. Avolta Partners has advised Youmian in their funding led by a pool of business angels. The fund will be used to recruit new talents and develop a new version of their social media platform. The three founders want as well to grow their foodie community and increase their brand awareness. TalkSpirit has been founded in 2008 by the two serial entrepreneur Philippe Pinault and Olivier Ricard as a " web solution multi-task platform " where corporates can better manage their influence on social networks. Talkspirit develops a global solution to " manage the development and the optimisation of companies' interaction with their internal and external audience ". The startup has developed an internal platform where a company's employees can exchange tips and questions on diverse problematics. Some major clients have been seduced by the solution such as Société Générale, Auchan, RATP or McDonald to name few. Avolta Partners has advised the TalkSpirit team in their funding round led by Le Public System. The financing will be used to reinforce their R&D team in order to bring new features to their " communautary platform ". The manging team wants to increase the openess of their platform via the develoment of an dedicated API that will enable third parties to connect to the existing platfrom and bring up their own features and updates. Commanders Act was founded in 2008 by a trio of Internet marketing experts who experienced firsthand the nightmare that tag management was becoming and set out to develop the necessary tools to increase marketing agility. In addition to its flagship Tag Management solution, Commanders Act offers a suite of complementary products intended to help marketers use the data collected from their third-party tags responsibly and maximize their advertising investments. These products include Privacy Management, Attribution Management, and Data Management. Commanders Act is profitable and works with hundreds of clients that are located across the globe and from all industries. Its robust library of vendor tags enables marketers to deploy and manage their solutions with point-and-click functionality. Commanders Act, a start-up company specialising in tag management, has just completed its fundraising campaign with XAnge Private Equity, the venture capital subsidiary of La Poste Group. The funds raised will be mainly used for R&D investments. The capital increase should also make it possible to accelerate the development of Tag Commender, already present in Europe and abroad. Created in 2007, the start-up operates the e-commerce of some fifteen brands, including Eres, Aigle, De Fursac and Kookaï. Its services range from site creation to logistics management, marketing and after-sales service. Mixcommerce does not report its results but reports a 50% increase in turnover for its customers over the first quarter. "Mixcommerce is close to achieving financial equilibrium," explains its founder, Philippe Rodriguez. The La Poste group buys Mixcommerce and its trading platform to offer brands the opportunity to delegate their e-commerce activities. With Mixcommerce's e-commerce platform, La Postecom completes its service offer to e-merchants, packaged so far in its "Box e-commerce", aimed mainly at SMEs. In addition to its logistical know-how, La Poste also relies on its on and offline marketing activities via Mediapost, which, in addition to paper-based routing, relies on a base of 20 million emails. For La Poste,"the aim is to become a reference partner for e-commerce players by offering each type of e-commerce retailer solutions to develop their online and offline sales".